The Wine Spectator Top 100 list is a BIG deal every year. Making the Top 10 and being named #6 on that list, well it doesn’t get much better for everyone from the wine makers to the consumer. As the names and scores are released daily I immediately get questions from customers about their availability. Of course I usually beat them to the punch as I await every daily press release in the hopes that I not only know the wine but have it on my shelf at our Whole Foods Market North Miami. Wine geek much? I guess so..
As a big fan of Dave Phinney and his Orin Swift winemaking skills I knew of Machete; a Petite Sirah, Syrah, Grenache blend, but had not had the honor of trying it due to availability or distribution issues. 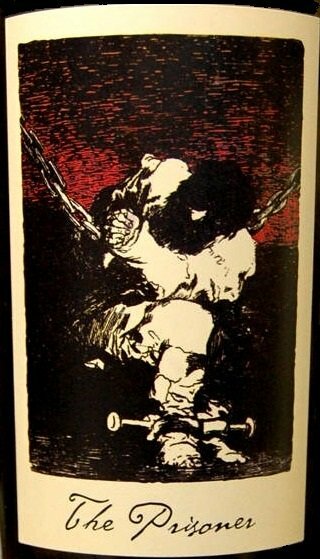 Well that all changed when earlier this year Dave Phinney announced the sale of Orin Swift Cellars to E. & J. Gallo Wines. Since then I am happy to announce that most if not all of the Orin Swift wines have become available to me [thanks to great distributor relationships] and are flying off the shelf just by word of mouth and reputation. Well, until now of course. With only 15,500 cases produced, a 94 point score, a TOP 100 and TOP 10 list placement by Wine Spectator the 2014 vintage may not be around for long . Fingers crossed that it is, but I am also excited by the fact that Dave Phinney will be staying on as head of Orin Swift Cellars while benefiting from the power and potential behind a partnership with E. & J. Gallo Wines. ¦SALUD! My tasting notes: In all honesty this was a group tasting. Fate had me buying a bottle of Machete, to probably drink/taste alone, on the same night wine loving neighbors in need of brawny men to move a wine cellar fridge called. The stars and planets aligned. Wine cave installed, this wine was a glorious hit with all who imbibed and even garnered me a sale of multiple bottles! Our thoughts; opaque purple-black in color, big & robust on the nose with dark berries, currants, licorice, cloves and white pepper, full-bodied, drinkable now not in need of decanting, great Autumn wine, although big and bold on the nose much softer on the palate, smooth tannins, noticeable acidity. Generous and expressive, big and brawny, this offers a mouthful of tannins but also brims with flavors and aromas, including Earl Grey tea, dark chocolate, dried violet and toasted gingerbread. Rich notes of plum and black cherry are balanced by forest floor and earth accents, which linger on the long finish. Petite Sirah, Syrah and Grenache. Drink now through 2030. This Spanish beauty comes to us from Dominio de Valdepusa. Located in central Spain in the Provence of Toledo. It was the first estate to receive the DO de Pago the highest Spanish classification for wine of which there are now fifteen. Along with stringent quality requirements these classified wines must be produced, processed and aged on the estate. Dominio de Valdepusa has been in the family of Carlos Falcó Fernandez de Córdova, the Marquis of Griñón, since 1292. “Caliza” means limestone in Spanish, used in naming this wine so as to pay homage to the unique soil profile at this Dominio de Valdepusa estate. The moderate layer of clay topsoil over rocky limestone leads to elegantly structured wines. Caliza is a blend of Syrah and Petit Verdot which are fermented in stainless steel followed by one year in new and second passage French oak. Along with Syrah and Petit Verdot, Cabernet Sauvignon is also planted among their 125 acres. A variety of grapes that seems to be working quite well for winemaker Julio Mourelle and estate owner Carlos Falcó who have repeatedly received 90-91 point scores for past vintages from Wine Spectator and Wine Enthusiast. On the nose; spice [vanilla], wood [oak], dark fruit [blueberry, blackberry] with some red fruit [raspberry] as it opened. On the palate; at first the fruit was a bit closed off and the wine quite tannic as I noted cocoa and the effects of this blend coating my mouth with a purple hue. As the wine was decanted and opened for over an hour it was interesting to notice it transform into a luscious fruit bomb with notes of; tobacco, earthiness [wet soil/mushrooms], smokiness, chocolate, raisin and what I noted to be a fig/guava finish. Since discovering this vino I recommend it regularly to customers who are looking to try something new, enjoy red blends or are looking for a fruit forward yet well-balanced medium bodied wine. Usually priced in the $18-$25.00 range the popularity of this 14.5% ALC Spanish wine continues to grow. I am personally impressed by the history and pedigree of the property [1292!]. More so, I was very surprised by the change brought about by decanting. A fact I will be suggesting to our customers moving forward. “Age and or decant!” The results will make it very worth your while. ¡SALUD! Deep purple in color with ruby reflections, this wine shows alluring notes of blackberries and cassis with undertones of cinnamon and minerality. On the palate,it is beautifully full-bodied and silky with refreshing acidity and flavors that unfold into the long-lasting finish. A recent wine discovery, this red blend out of Paso Robles has been a big hit with all of whom I have shared it with. At the store it is a hand sell due to it not being well-known. At home it’s an easy pour, I am surrounded by wine lovers. Our mantra should be POUR. Which is actually not a bad idea for t-shirts…. Sunday Supper a few weeks back found the Chateau Le Cacheflo winning the popularity contest among four or five other wines brought by the afore-mentioned vino lovers. Other good red blends were in attendance but the Cacheflo was the best balanced with intricate flavor layers worth pondering. 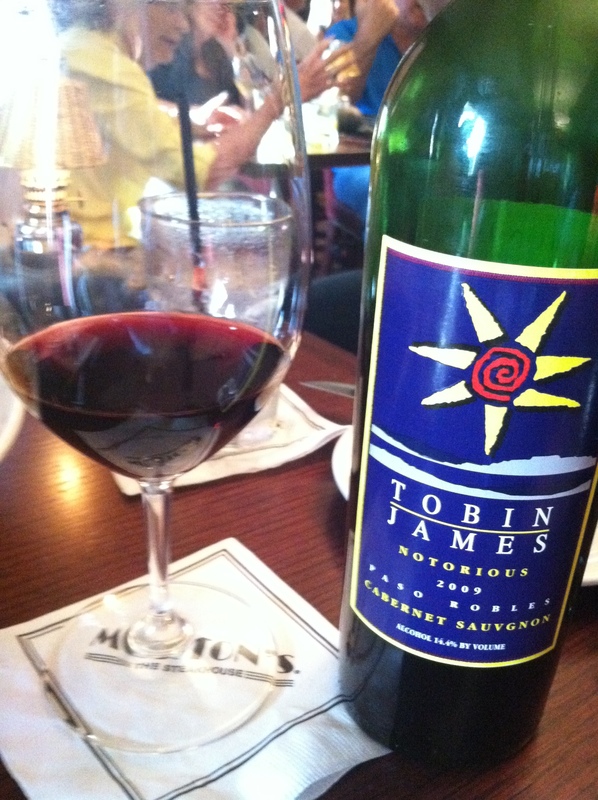 I was originally introduced to the wines of Tobin James by the Sommelier at Morton’s Steak House – North Miami Beach via their Cabernet Sauvignon. It left a mark. Months later when I realized Tobin James was approved for sale at Whole Foods Market I could not have been happier. The blend is reported to be; Syrah, Barbera and Sangiovese. What is referred to by the winemaker as Mediterranean varietals. Prior to researching I listed Syrah/Shiraz, Sangiovese and possibly Malbec on the nose. Now I see that the Barbera is what most likely gives this wine its body and richness. I believe I have now had the Cacheflo at least three times in as many weeks. Glad to report; it was worthy every time. The name itself is a play on CASH FLOW. Originally started as a way of making wine under his own label from available left-over grapes and a way to get the cash to flow. Their Zinfandel started this way too. With excess grapes a grower needed to move. Tobin James worked his magic into an award-winning wine and launched Tobin James Cellars. Resilient legs [14.8% ALC]. On the nose; fruit forward [casis, blackberry], jammy, spices [nutmeg, vanilla], tobacco box, cedar and even tar [in a good way]. 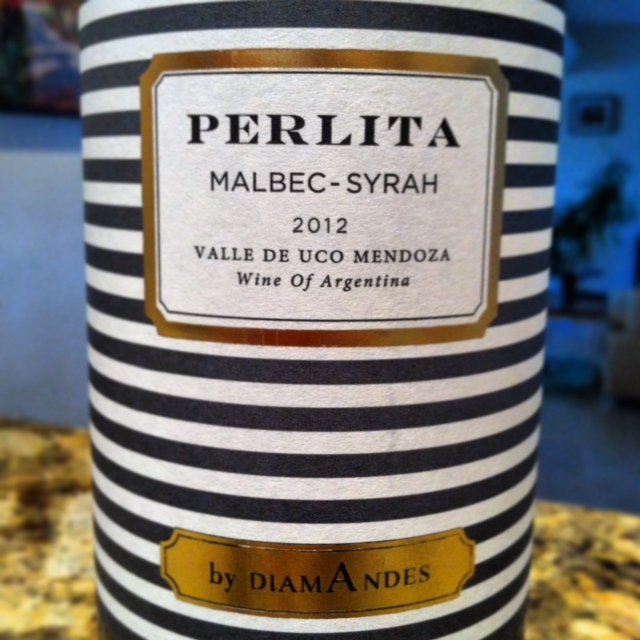 On the palate; a WOW at first sip, red and dark fruit [black cherry] well-balanced, robust, mouth-watering medium acidity. A cherry finish with fruit softening and delicate wood appearing. To learn more about Tobin James check out PasoWine.com where you can find out about his humble wine beginnings, becoming the founding wine maker at Peachy Canyon and recently being awarded the 2010 PASO ROBLES WINE INDUSTRY PERSON OF THE YEAR. At a retail price of $15.99 or less this easy drinker is a great example of what an everyday to some, weekend wine to others, should be. This is a welcome addition to Whole Foods Market North Miami and my home cellar. Yes, still the guest room after all these years. Paso Robles is one of the most unique growing areas in the world. So many varietals excel here that the focus has been on the production of great red wines. In keeping with this great tradition, the wine community has discovered that the Mediterranean varietals flourish and develop distinct and unequivocal character in Paso Robles. This wonderful blend of Mediterranean varietals includes; Syrah, Sangiovese and Barbera. Year after year Tobin James has produced this Highly acclaimed “Cache-flo” for you to enjoy with just about anything!